The below figure clearly shows the difference. Command User Interface lets the user to interact with a Java program using commands in the command prompt. It is time taking process and needs much effort while communicating. 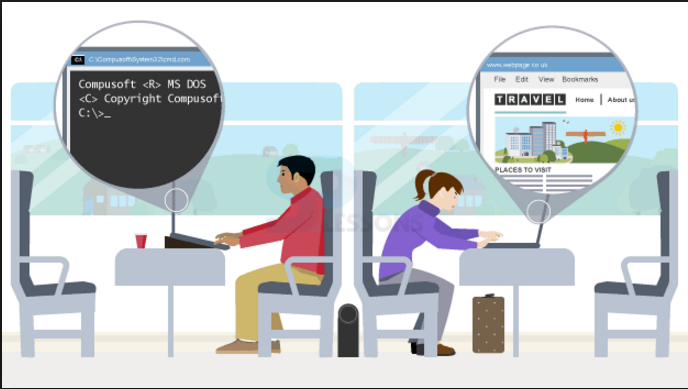 Graphical User Interface lets the user to interact with a Java program using the graphic window. GUI can be built by including java.awt package, which provides pre-defined classes to GUI. A user can easily operate GUI applications as they are user friendly compared to CUI. GUI enables the user to perform multiple operations at a time, whereas, this is not possible in CUI. High speed is one of the main advantages of GUI control. An application can be operated in just a click using GUI, whereas, in CUI, a number of commands have to be inputted to complete the action. The classes that are pre-defined in java.awt package and used to perform output actions are called as Container classes. These classes helps in displaying output to the end-user with the help of frame and panel. 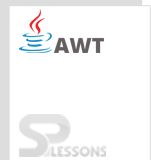 The classes that are pre-defined in java.awt package and used to perform input actions are called as Non-Container classes. These classes helps the end-user to communicate with the Java application with the help of labels, and buttons. GUI applications are mostly used in real-time. Container class and Non-container class are the types of classes.